The Astro-geology team working on analyzing the photos from Curiosity Rover is having a busy week. They recently posted this amazing picture and announced their plans for the future. The plan for the weekend is to do a detailed analysis of the outcrop in front of us and then drive away and do some untargeted observations. Sol 1109 includes ChemCam observations of the targets “Cody” and “Leroy”, plus a Navcam dust devil search. 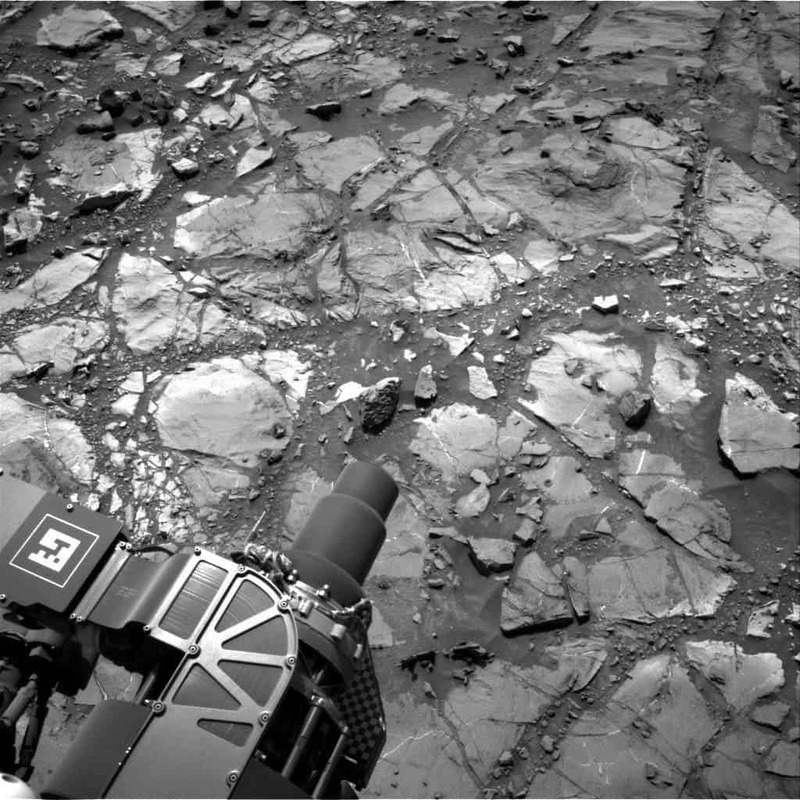 After that, the rover will brush the dust off of Cody, with MAHLI images before and after. APXS will then analyze the target Ferdig, and then do an overnight observation of Cody.